Telepresence is a technology that has emerged as a promising mode for conducting business meetings with distributed participants, since it enables an immersive lifelike experience. However, telepresence meetings are substantially more expensive than audio- and video-conferencing meetings. 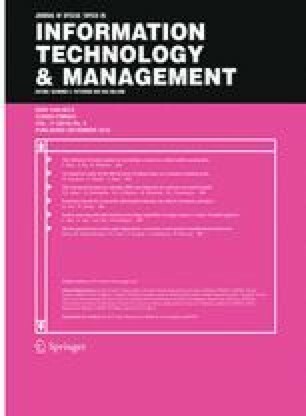 This paper examines the justification of using telepresence for meetings. Based on an extensive literature review, two research questions about the effectiveness of telepresence for achieving meeting objectives are formulated. These are then addressed in an empirical study consisting of two phases, conducted in a large multinational corporation in which telepresence is widely used. In Phase 1, a list of meeting objectives is compiled. In Phase 2, the effectiveness of telepresence is analyzed relative to audio-conferencing, video-conferencing, and face-to-face for these objectives, based on input from 392 meeting organizers. The results of the analysis indicate that although the effectiveness of telepresence is higher than the effectiveness of audio- and video-conferencing for several meeting objectives, it is not significantly different from the effectiveness of face-to-face for any objective. The online version of this article (doi: 10.1007/s10799-015-0221-9) contains supplementary material, which is available to authorized users. The authors acknowledge the support of Mr. Joost Drieman and Mr. Pol Vanbiervliet for this research project.